Last night's 2010 World MMA Awards was spectacular from start to end. FightingInsider knows you are keen on knowing who got the awards and those who went home empty-handed. Nevertheless, those who received recognitions are all deserving. Last night, the World MMA Awards 2010 took place at The Pearl in The Palms Casino Resort, Las Vegas. This is the third year for the award-giving body which started by Fighters Only magazine in 2008. Nominees and winners were determined from fan votes which was conducted online. Categories include Fighter of the Year, Knockout of the Year and Breakthrough Fighter of the Year, as well as non-fight specific categories like Ring Girl of the Year and Most Memorable Ring Entrance. 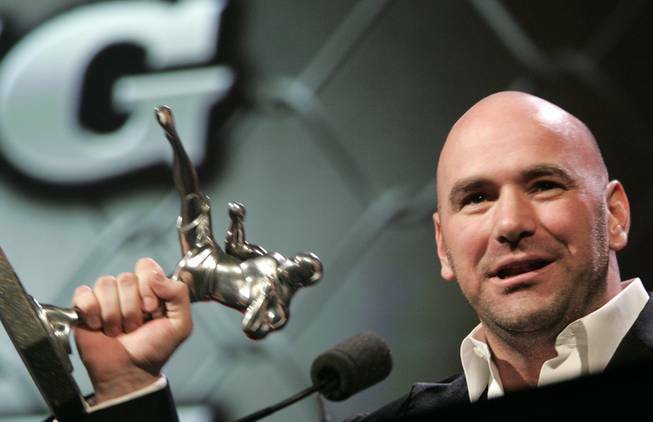 The past year’s winners included UFC president Dana White as Leading Man of the Year, Georges St-Pierre for Fighter of the Year and Brock Lesnar for Breakthrough Fighter of the Year. The event was lead by UFC Hall of Famer Randy Couture with co-host Molly Qerim from Versus network. The event streamed live at Versus.com, while the edited one-hour highlights version will air on Versus on Dec. 9 at 10 p.m. Eastern. Here are the winners for the 2010 World MMA Awards. Congratulations to all!